There are three different Game Modes on GetAmped2, these include: Tournament Mode, Guardian Mode and Street Fighter Mode. Tournament Mode allows players to fight in 1v1 or in groups of up to 4v4. 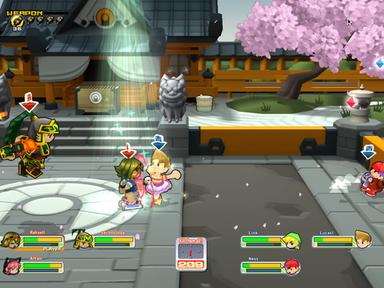 Guardian Mode is players fighting NPCs, although players can team up with others and fight these NPCs in groups. Street Fighter Mode is a fight for all mode where up to 20 players battle it out throughout three stages, players will be rewarded based on how well they do.